The Play Store is a breeding ground for Google's A/B tests. Every couple of days, the app shows different interfaces and options for some users, and it's tough to stay on top of them all. 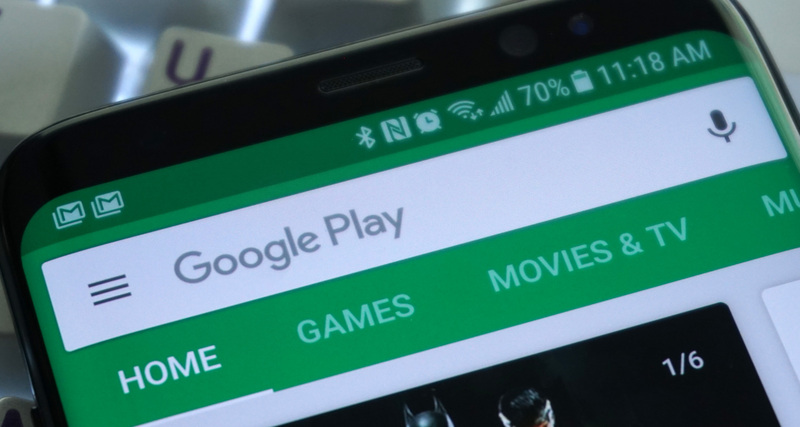 Recently, the Play Store started showing a dedicated Events tab for gaming, rolling out Pixel updates on Android Q, and we know it's working on a Material Design revamp. But there's much more in the works. 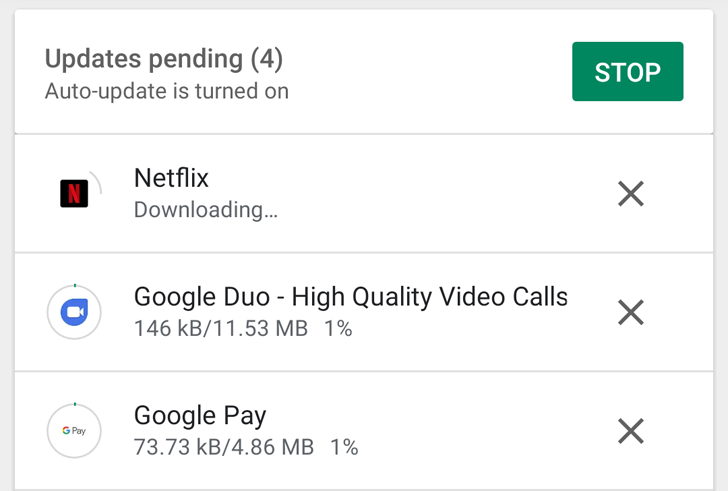 In the past couple of days, app updates started behaving a little weirdly for some users, with the most important sign being the appearance of simultaneous downloads. Security firm Trend Micro has discovered 29 malicious beauty camera apps that aim to phish user traffic and steal your photos. The apps have already been removed by Google from the Play Store, but only after accumulating millions of downloads. Once installed, some of the apps would load up full-screen advertisements for fraudulent or pornographic content each time the device is unlocked, and some of the apps would forward users to phishing websites to steal their personal information. From time to time we come across a story of an app being removed from the Play Store unjustly and the developer getting frustrated with the lack of warning or communication, and more frustratingly, the absence of a valid reason. 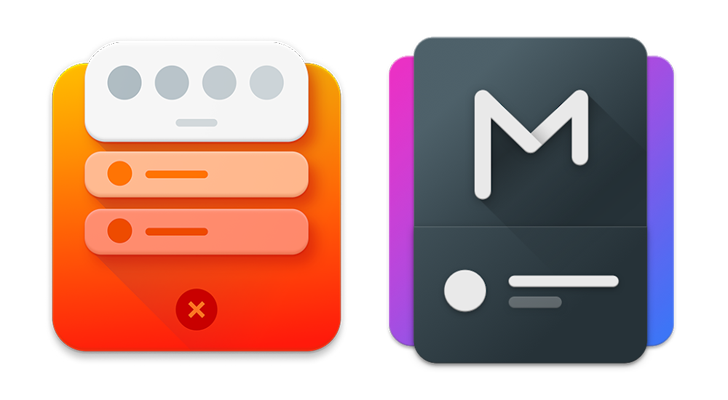 The case of popular apps Power Shade (500K installs) and Material Notification Shade (1M+ installs) has proven to be a little different though, and possibly more head-scratching than that. Google's legal troubles in Europe continue as a European Commission court has accepted an injunction filed by alternative app store Aptoide. The antitrust complaint came after Google used Play Protect to warn users that Aptoide was potentially harmful. Today Google has released its 4th annual so-called "Android security year in review," a number-heavy report meant to demonstrate the improvements made over the last year when it comes to security. And it's not just ego-stroking, Android made great strides during 2017 on the subject. From the launch of Play Protect to increased distribution of security patches, Android as a platform has never been more secure. 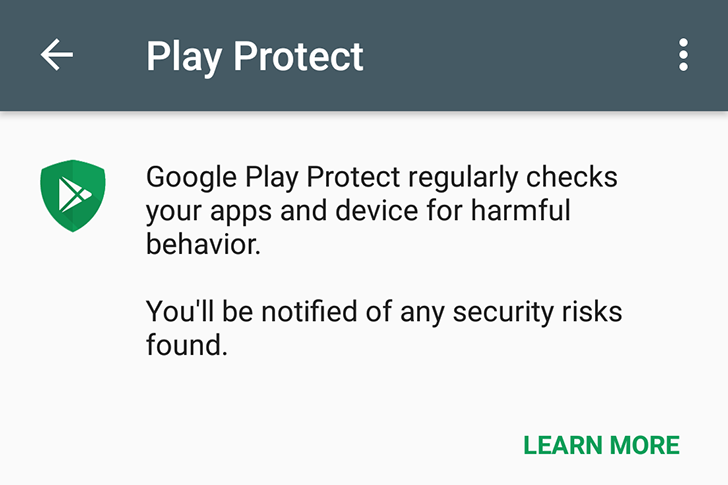 Play Protect, the fancy reincarnation of Verify Apps that promises to make app scanning and malware detection more visible to users, has been promised since Google I/O but it took a while for it to start showing up. First, we noticed that the Verify Apps security setting was changed to Play Protect, but that is a buried menu that few people would often run into. Now, the more user-facing aspect is starting to show up in the Play Store. 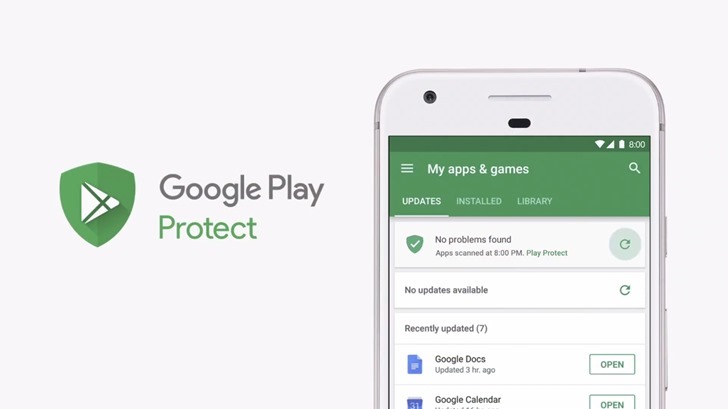 If you head over to the My apps & games section in the Play Store, you might see the new Play Protect banner on top of all your available and recent updates. Back at Google I/O in May, Google announced Play Protect, the consumer-facing evolution of Verify Apps, which is the background app check service that makes sure you don't have any suspicious or malicious software installed on your device. Verify Apps has existed for many years and has grown from an opt-in feature to an opt-out one, then to a background process, and then earlier in February it started displaying the apps it had scanned. Play Protect aims to bring Verify Apps to the foreground in the Play Store and make sure that all users are aware that their device's security is being monitored. The Play Store has just been updated to version 7.8 as of this morning, at least for some people. This release brings a couple of small changes to the interface and a few bigger changes in preparation for the future. 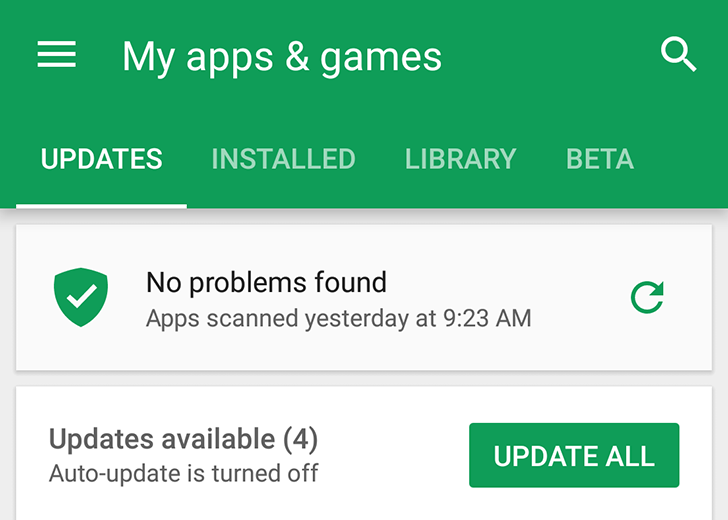 Google has added a little reminder note to get people back on track with automatic updates, meanwhile it has also removed a toggle on some devices that gave users a choice about whether icons should be added to the home screen for newly installed apps. (But don't worry, that's conditional.) On the teardown front, we can see big signs of progress for Instant Apps, a move toward branding the malware scanner, and a clue that pre-registering for apps may finally be worth something besides a reminder notification.